Gaur Gravity, Gaur Green Vista Main NH-24, Indirapuram Ghaziabad - 201014, U.P. 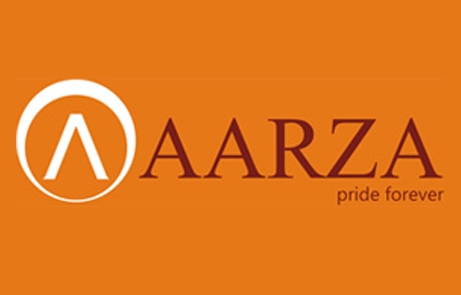 Aarza Infratech Pvt Ltd is a leading name in the real estate sector in India. Their vision is to attain the top position in the real estate sector in Delhi NCR by developing new strategies and implementing inventive ideas. With state-of-the-art technology, quality construction and on-time delivery of projects, Aarza Infratech Pvt Ltd aims to become the best brand in the real estate industry for residential and commercial projects. The goal of this company is to provide all clients with affordable and quality homes and they have several projects spread all over the Delhi NCR region. Their most prominent commercial projects include Aarza Square 1 and Aarza Square 2. These projects are the leading retail and business destinations in their regions and come amply appointed with world-class office amenities and modern luxuries. All the projects built by this prime real estate company are characterized by cutting-edge design innovations, sound construction practices and advantageous locations. The team of expert leaders at Aarza Infratech Pvt Ltd place commitment above all. Excellence and dependability are the key words of this renowned company which in unique in its complete dedication to quality and timely services.